Recently OnePlus One released the CM12S Android Lollipop update for the oneplus one user, and most of the users already updated their phone with this latest update. But most of the users are facing lots of different problem with the new build like battery problems etc. If you are facing the same on your phone then read our guide here how to improves the battery life in oneplus one and apply these tricks to increase the battery life. But still you are not happy with the performance with your phone and want to go back to the CM11s Android Kitkat. Here is the simple guide which you can follow and install the same on your phone within a few minutes. The guide is pretty simple and takes a few minutes to complete the task. This method will wipe your device and restore it STOCK CM11s. Please backup your data. Read all the steps very carefully and follow them one by one on your PC and Oneplus. Step 1. 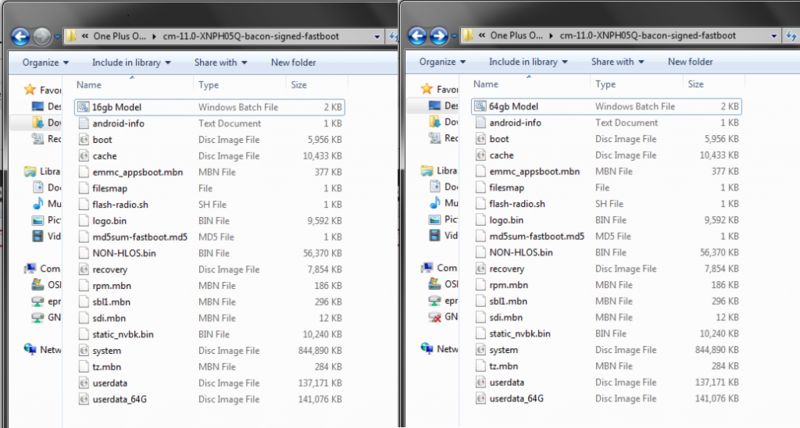 Download the stock fastboot rom file from below mwntion links. And Extract the folder on your windows desktop. Step 3. After this Boot your Phone in fastboot mode (power off your phone, hold VolumeUP+Power button simultaneously till you see fastboot.) and connect it to the PC with a USB cable. Step 4. Now depends on your Model start 64gb Model.bat or 16gb Model.bat file. Now the flashing process will start on your phone. Note: First it will unlock the bootloader first before installing the CM11s. Just follow the on-screen instructions. If the phone reboots after unlocking the bootloader then just disconnect the phone put it back to fastboot mode and connect the script should continue installing the CM11s. If you already unlocked bootloader on your one plus there will be no interruption the script will install the CM11s and the phone will reboot into STOCK CM11s. Enjoy. Now your Phone is running on the CM11s Android KitKat. What if I want to rollback to XNPH44S ? Will the same procedure work ? 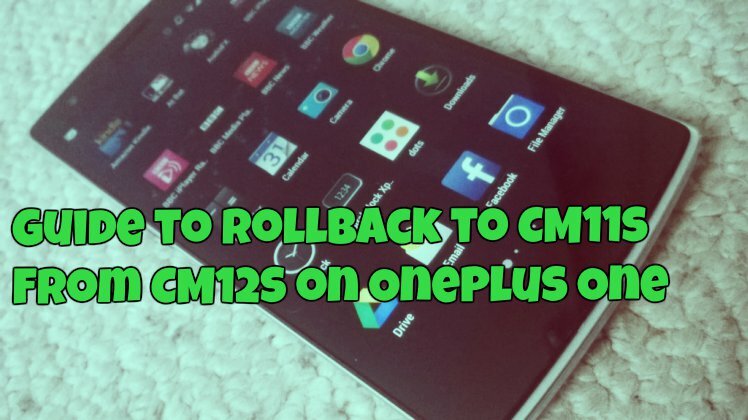 Will this procedure work on a normal non-rooted stock oneplus one running CM12S ? Also it would be possible to update to future versions via OTA ? Hey. Thank you so much! The process worked flawlessly. My phone got updated within 5-6 mins. There are 100’s of incomplete techniques on the internet with various pre requisites like TWRP is compulsory, unlocked bootloader, etc and out of all that your post was the easiest! I never comment on these sites but thank you SO SO SO SO MUCH so easy and straightforward and hopefully my battery life will be great again! Thank you! Is it possible for my phone to get bricked if i screw up a step? was the omission of step 5 an error? Hey. Thank you for the amazing post. I accidentally deleted the 64gb.bat file. Can someone Please upload that single file. I don’t want to download the whole thing again. i done all things still i get msg waiting for device. what should i do? @kaushal ADB drivers are not installed correctly, install them again and restart your PC.